Getting into college can be a challenge but we believe that anyone who works for it should be able to attend. But if a young person doesn’t know anything about college, like what classes are offered, the cost, what dorms are like, or even that attendance is a possibility, how are they supposed to set their sights on college and work to become ready? (FULL STORY SHEET) This lack of knowledge about college can be a huge barrier. 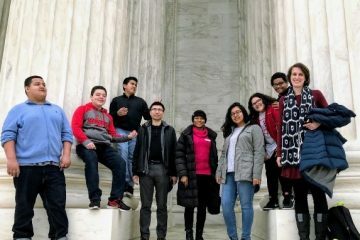 Last November, YMCA Youth & Family Services’ (YMCA-YFS) broke this barrier down for 10 young people from Northeast Washington, D.C. with a tour of University of Maryland College Park (UMD). 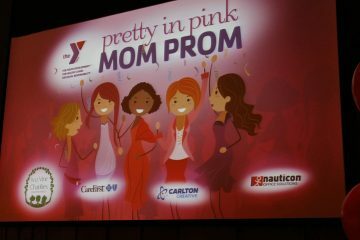 YMCA-YFS created this opportunity through its Reach & Rise program, a national therapeutic group mentoring program created by Y of the USA. Of the 10 students that toured the university, 9 had never been to a college campus. 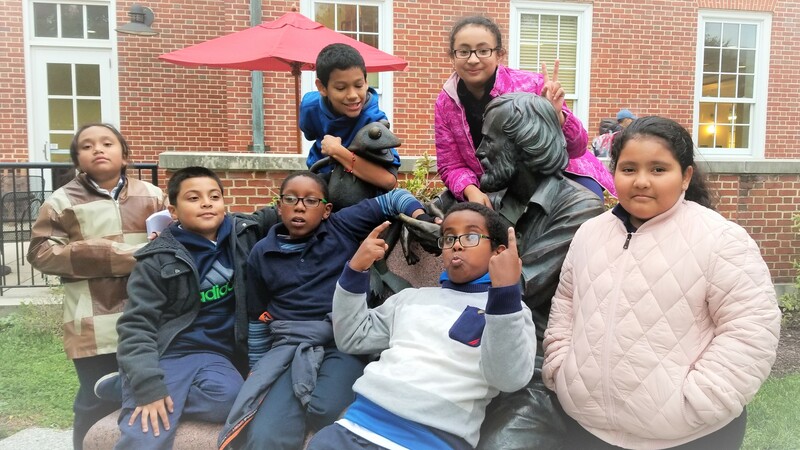 These wide-eyed future scholars explored the campus library, residence halls, gym (one that is way bigger than their school’s), and the campus farm that is part of UMD’s Department of Animal & Avian Sciences. For some, this was the first time they had been face-to-face with cows, horses and chickens! To top it all off, these young students ate in the dining hall and were surprised with the chance to pick out University of Maryland apparel from the bookstore for free! Unlike traditional mentoring, Reach & Rise provides a unique method of mentoring in a group setting where two adult volunteer mentors facilitate weekly group sessions focused on social skills, acculturation, trauma, and other topics. Over the past year, the mentees built trust with each other and their mentors – this is a huge accomplishment. 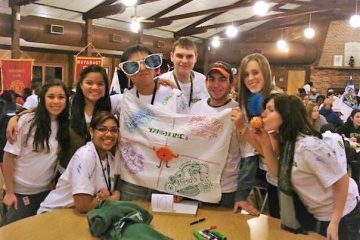 That trust created the comfort to dream together and soak up the advice and shared experiences of their college-age and college-graduate mentors as they toured UMD. The value of this result cannot be understated. Many of the youth in Reach & Rise are referred by their school Counselor or Social Worker because of behavioral issues (anger management, poor social skills). These challenges often leave them feeling helpless, hopeless, and predestined to fail. The combination of their commitment to attend Reach & Rise weekly, their dedicated mentors and the painstaking planning of Alex Hammer, Reach & Rise Program Coordinator and licensed therapist, resulted in a wonderful realization: the youth no longer saw college as an abstract impossibility but as a reality. Since this trip, Alex has seen a marked change in the youth. They now know what college is like and they have set college-bound goals and are working hard to succeed.